Reward your student next time they do something good with a bracelet. 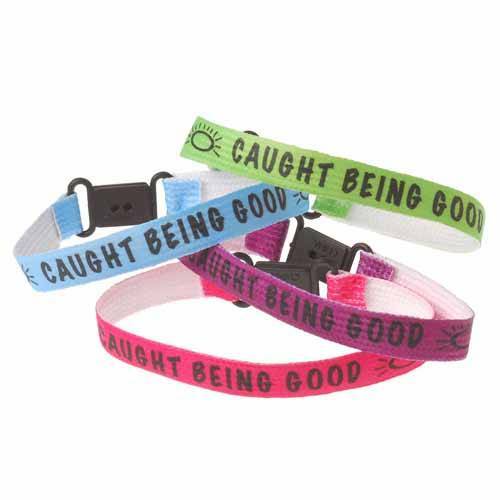 Comes in assorted colors with the phrase "Caught Being good". Size 8" L. U.S. Toy Exclusive! Need an idea for an inexpensive party favor bag filler? Jewelry items are a great choice. We have the costume jewelry that will appeal to both boys and girls. Find jewelry suitable for dress up, pretend play or costume accessories.